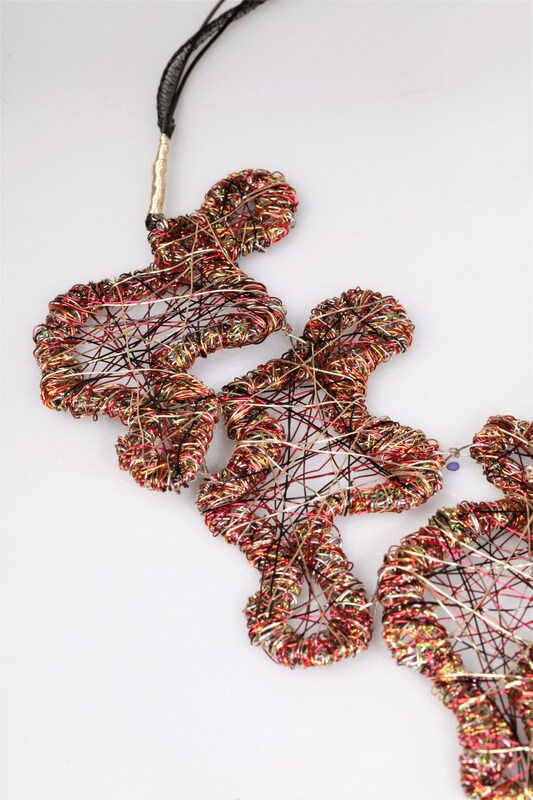 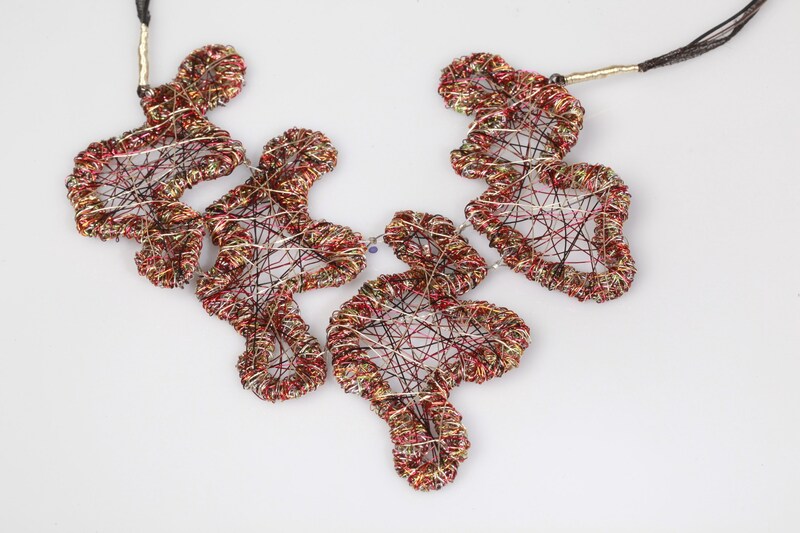 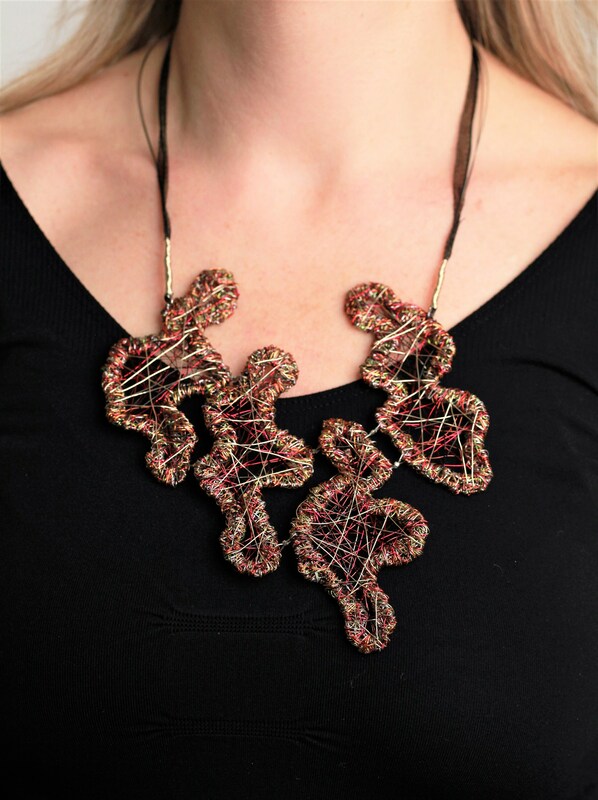 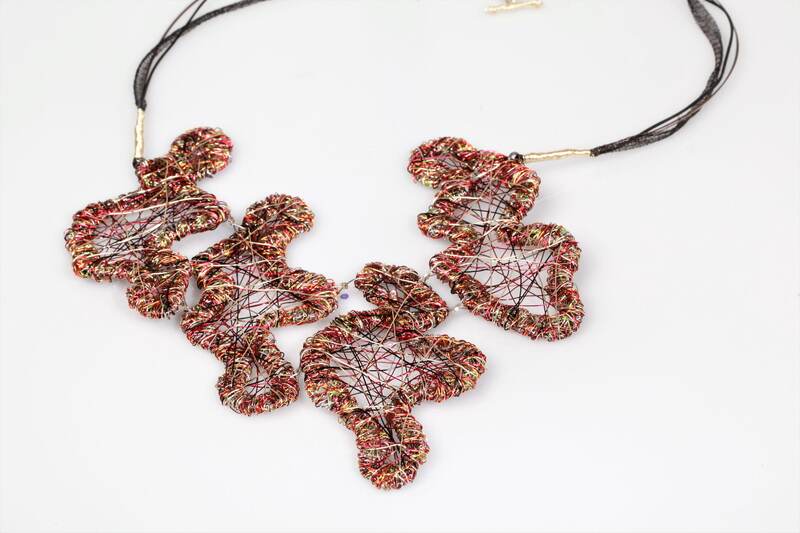 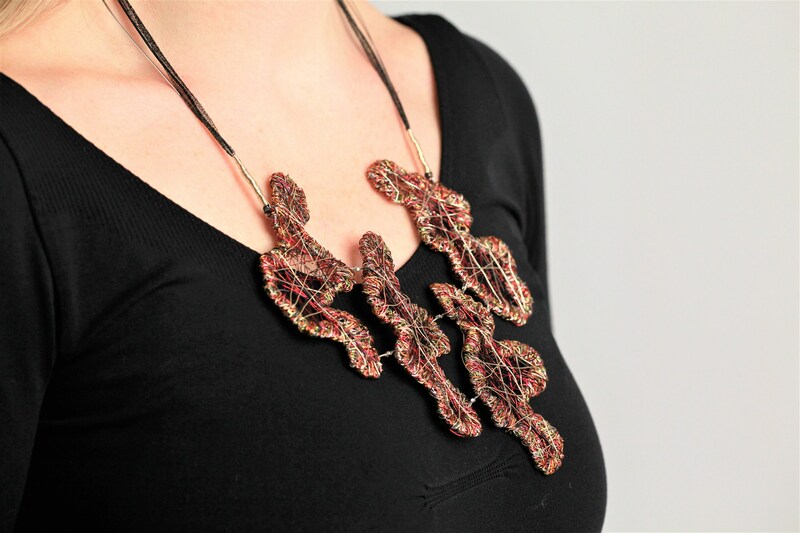 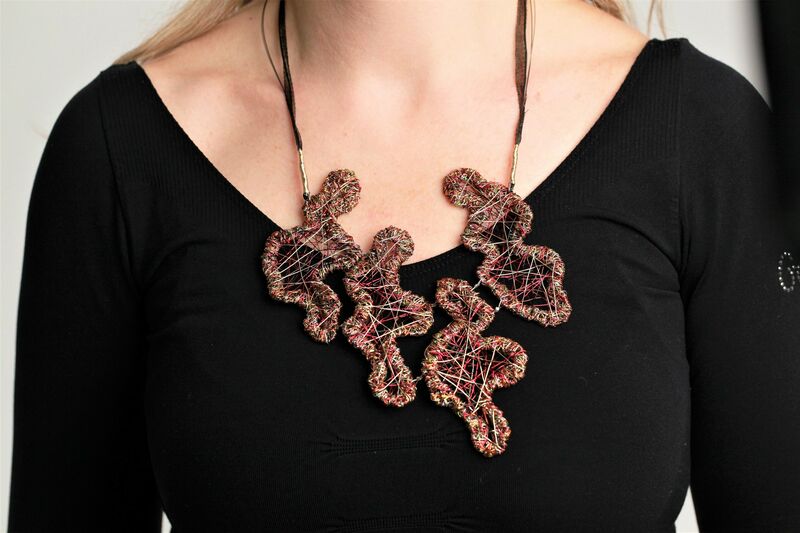 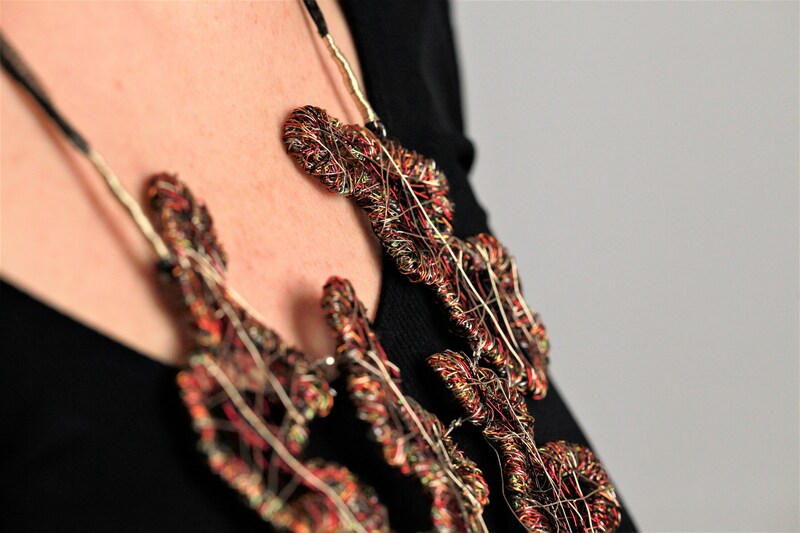 Abstract people art necklace, handmade of colored copper wire and silver. 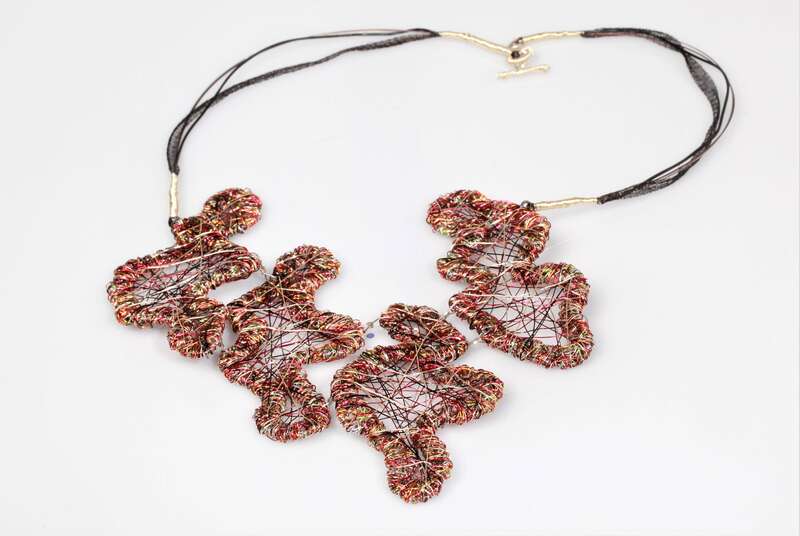 The width of the gold red modern statement necklace is 15cm (5.91in) and the height is 17cm (6.69in). 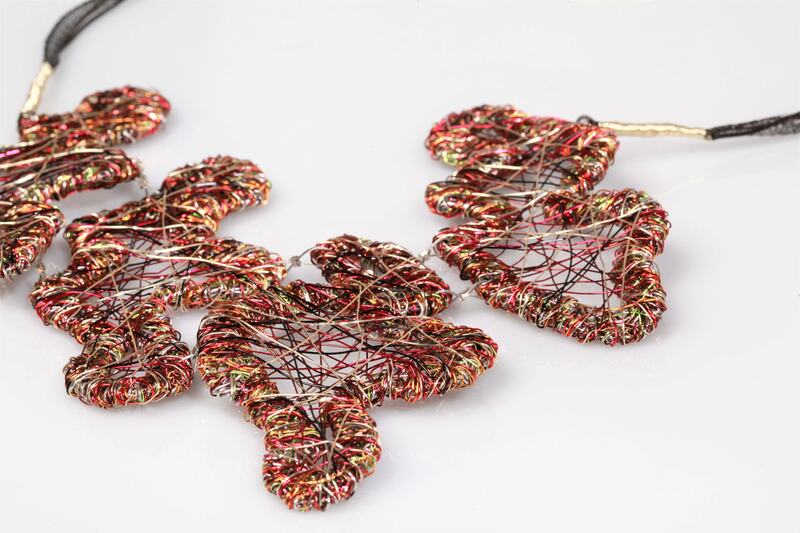 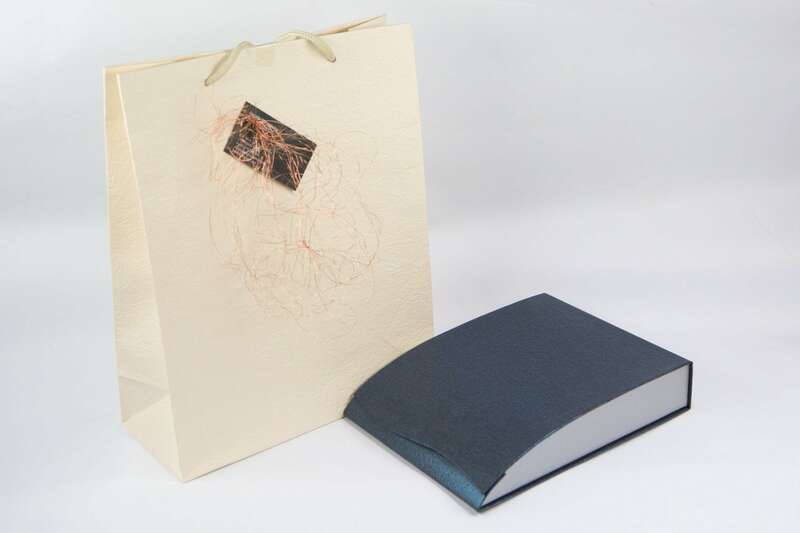 The upper wire and the handmade closure are solid silver.